Motorola’s MOTOTRBO™ XPR7550 IS radio is a top-of-the-line, Canadian Standard Association Intrinsically Safe (CSA IS) radio designed specifically for safe team communications in rough conditions and hazardous work environments, such as gas plants, oil refineries, or underground mines. This full deal rugged radio comes equipped with loud and clear audio, a large, full-color display for work in dark areas, Bluetooth capabilities, integrated safety features, and much more. With best-in-class features and a durable build, the XPR7550 IS is designed specifically to increase safety and boost efficiency and productivity among you and your team members. For work in noisy environments such as your own, you need a radio that will provide you with top-notch features to ensure you never miss a message. The XPR7550 IS uses the latest features in digital technology such as Intelligent Audio that will automatically increase your radio’s volume when it detects high background noise. The radio also features a loud and clear speaker designed to help you get your messages across regardless of the volume of the environment. The radio’s CSA IS rating makes it one of the best radios to be used in the Oil and Gas industry. Intrinsically Safe two-way radios are designed for usage in environments exposed to an explosive gas, combustible dust, or chemical vapours. Non-IS radios can create electrical sparks that can become combustible when exposed to materials found in hazardous work environments such as your own. However, with IS radios you won’t have to worry about your radio becoming a safety hazard in an already dangerous situation. The XPR7550 IS also comes equipped with a built-in, one-touch emergency button on the top of the radio. Once programmed, the button can be used during an emergency to send an alert to your supervisor or a dispatcher. Just because the radio is equipped with the latest digital technology features, doesn’t mean it should be hard to operate. The XPR7550 IS’s is easy-to-use and the rugged body has large navigation buttons and icons, and prominent volume and channel knobs. The radio’s innovative screen features a 5-line color display with a day/night mode that makes working in low light environments that much easier and safer. On a daily basis, you’re exposed to many elements including flammable materials, and high-decibel noise that can be damaging to your hearing. You know your CSA IS approved XPR7550 radio will endure the hazardous environment of your industry, but you also need accessories that will withstand the elements. Luckily, Motorola has a range of accessories including speaker microphones, heavy-duty headsets, and gang chargers for you to choose from. 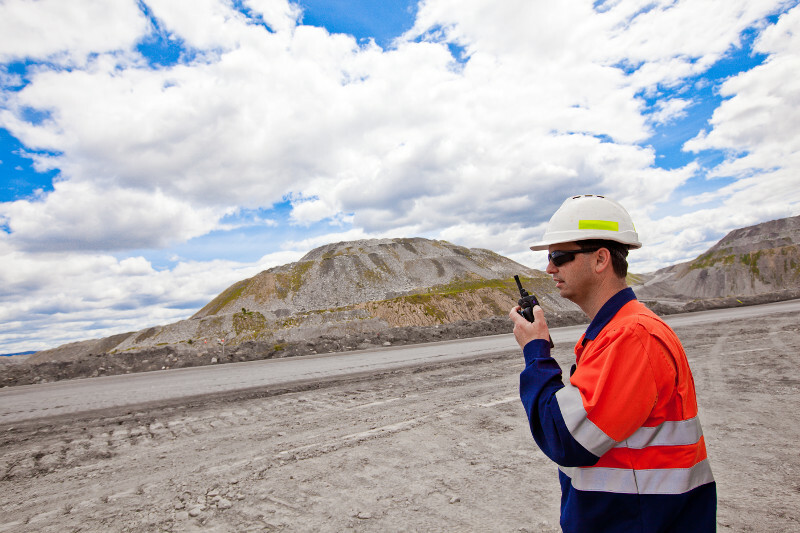 To find out more about the top two-way radios and accessories for mining, oil & gas, download our FREE one-pager.